Welcome to the professionals at Kevin W. Puckett Plumbing. We have provided residential and commercial plumbing services to home and business owners in Butler and Warren County for over 23 years. Family owned and operated, we take pride in ensuring that our business is based on a philosophy of transparency, honesty and integrity. In fact our company strives to consistently provide our customers with a premium plumbing service at an affordable price. Our team of experienced plumbers and service technicians are highly skilled and knowledgeable and can provide a solution to all manner of plumbing issues. We take pride in the work that we perform so you can always be assured that you will be completely satisfied with the results. Our reputation for dedication and attention to detail cannot be matched by our competitors. At Kevin W. Puckett Plumbing, we use quality parts and products to provide our customers with a service that has lasting results. 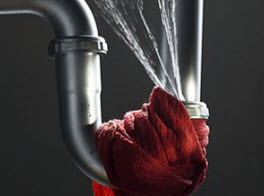 We never cut corners; instead we provide prompt and reliable service to professionally handle all manner of plumbing problems as quickly as possible. Not only are our plumbers and service technicians highly trained and experienced in their line of work, they are also trained to educate our customers on the work that they perform. We value the loyalty of our customers and are happy to answer your questions while providing quality plumbing services that are cost effective solutions to your plumbing issues. 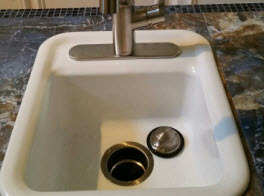 Our plumbing services include: residential & commercial plumbing repairs, installation of new pipes, residential boiler inspection services, septic system diagnostic problems, backflow & prevention, drain cleaning, gas lines, air lines, pumps, line repairs and much more! 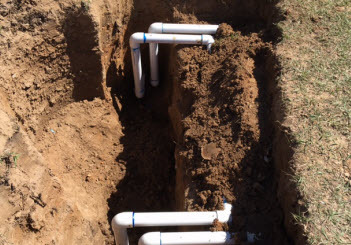 When you contact the experts at Kevin W. Puckett Plumbing, you are contacting a company that provides dependable excavating services that demonstrate the highest levels of quality and workmanship. No matter the size or scope of your project, we will complete the work on time and within budget. We are licensed, bonded and insured and our team of professional plumbers and service technicians are friendly, dedicated, and professional. We take the safety and well-being of your family seriously and we know that you will be impressed with our quality services. A gas leak in your home or business is not only difficult to detect it can also be harmful to your family and employees. A minor gas leak can cause long term respiratory issues and if left unchecked, it may also result in property damage as the gas leak has the potential to ignite causing an explosion. 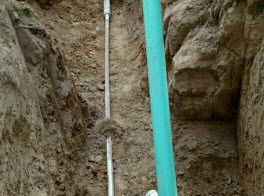 If you suspect that you have a gas leak, contact the experts at Kevin W. Puckett Plumbing for assistance. Our qualified service technicians will find the issue and determine if the problem can be repaired or if it requires a complete replacement. 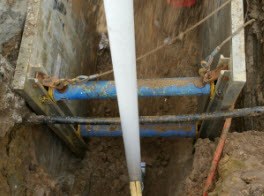 Contact us today to schedule your comprehensive inspection so we can test your gas lines and keep your family safe and secure.